Hey everyone! I have a fun post full of ideas and tips for those of you for any age. Today I want to share How To Dress In Your Fifties and still create a fashion trend all your own. I spent my teenage years though my mid-twenties trying to “look good” for others. NOW it is time for me to just enjoy my clothing, my body and my own style. Whether it is not what other people think I should wear for my age. NOW, that is not to say I want to look like I am in my twenties, because I don’t what to go there at all. Although, I don’t want to wear clothes that look like I have given up on fashion or style. 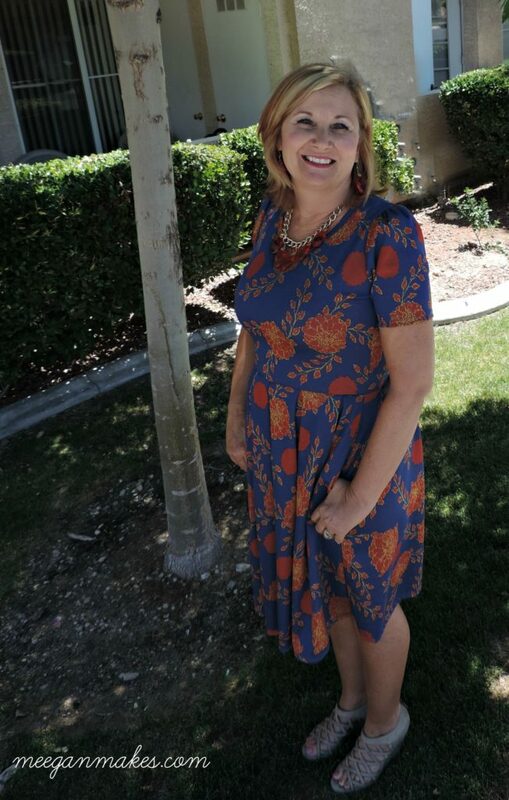 Let’s take a look at this dress from LuLaRoe. It is bright, empire style, cute and has pockets. I mean, what’s not to love about this dress? Especially for a woman in her mid-fifties, right? I like it for another reason, as well. Can you guess why? This style is ideal if you have lost your flat tummy. Or have a few lumps and bumps that make you uncomfortable. I have to admit I was a little leery of wearing this dress. BUT, once I put on a pair of heels and a few accessories, I knew I had made to best choice. I love the longer cut in the back. It is modest and classic. 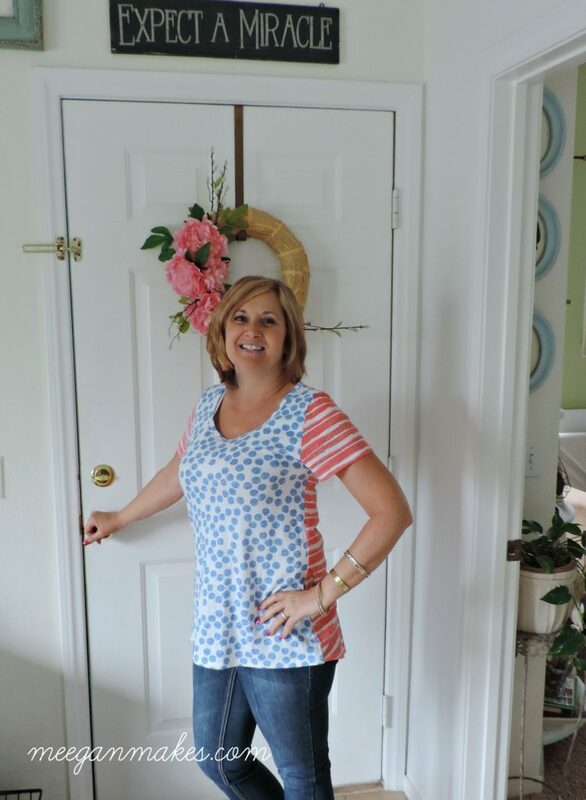 The two prints combined are trendy and fun. Think of all that you could wear this with…Capris, skinny jeans, skirts, leggings and more. And what about accessories? Lots of chunky jewelry or just a simple strand of pearls would dress it up don’t you think? What a fun post this has been for me to write. I hope you will take some time with your wardrobe and have some fun with it. Too often I see women with a t-shirt on when they are out and about. And it is sad-because they (you) are worth much more than that. Even a little lipstick and a nice blouse can make you feel so much better about yourself. I hope you have enjoyed today’s tips about How To Dress In Your Fifties. I am going to have MORE ideas in the future like I did here. Thanks so much for stopping by. Make it a great day! That dress is adorable. 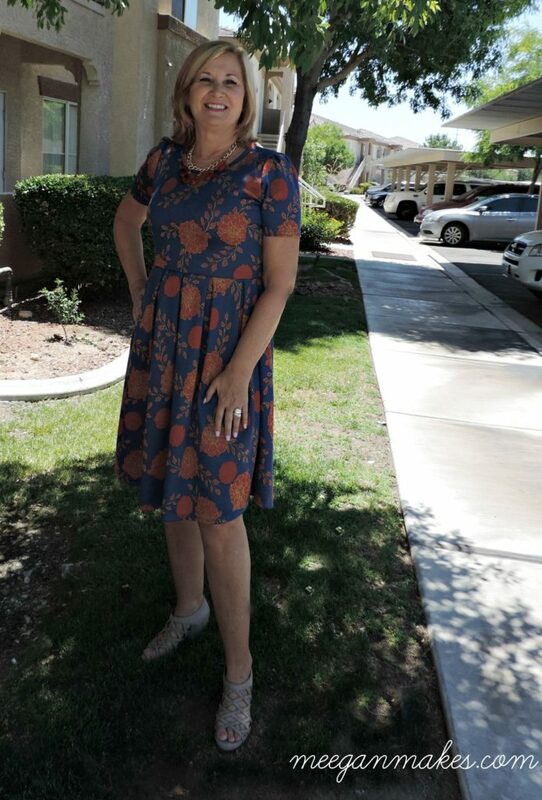 I’m a huge fan of LulaRoe maxi skirts but haven’t tried their dresses yet. You look fabulous in those cute outfits! And you are so right about those t-shirts!